The world may have many entities and systems they set up, but there is only one true way and one true KING who sits on His throne forever. GOD IS MY KING and He shall reign forever and ever, never be removed! 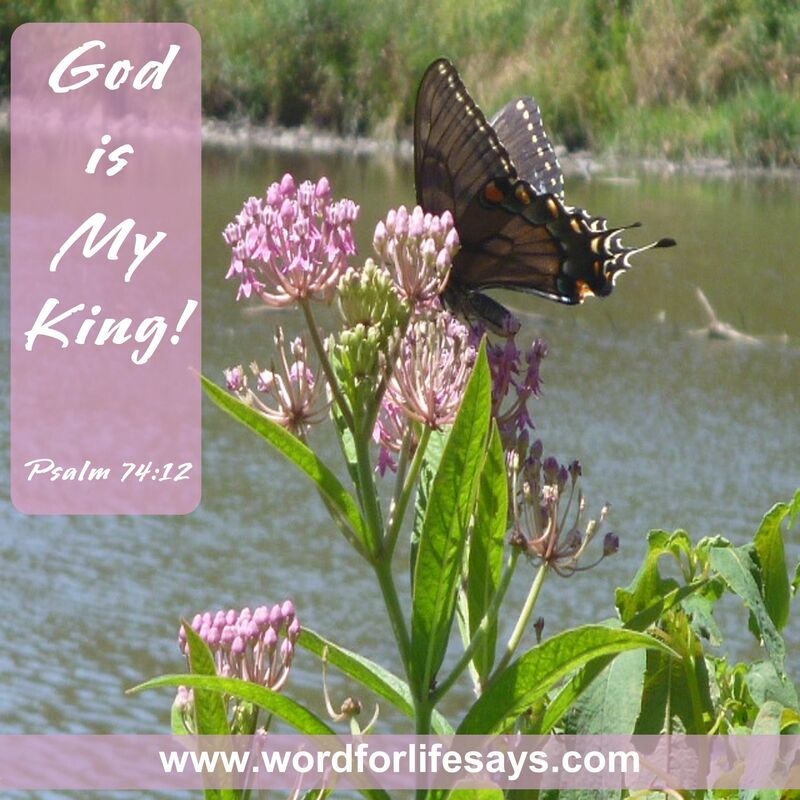 “For God is my king of old, working salvation in the midst of the earth,” Psalm 74:12. Very True Wordforlifesays, our Eternal KING of Kings and LORD of Lords gives us Newness of Life that He may be glorified and in glorifying Him we are lifted High. Amen, and Yes! Thank you, dear! Amen Alice!!! Yes He IS!!! GLORY!! !